Join us for upcoming events, classes and programs at Mendham Township Library! All events are free and open to the public. Registration required where noted. Join us for an exciting family program - an evening meeting live wolves! Listen to a presentation about wolves and see slides. 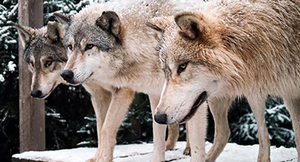 Experts from Howling Woods Farm will talk about wolves and wolfdogs; their existence, history, habitats, behavior, and temperaments. They will discuss domesticating wolves and wolves in the wild. Presenters will explain the role of Howling Woods Farm as a rescue and placement operation. Following the program, all will have the opportunity to meet the wolves.